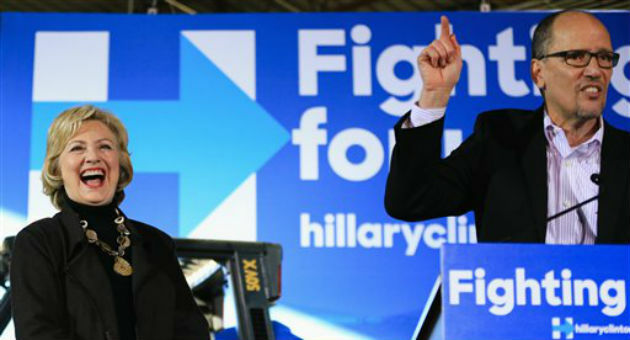 Politico reported on Monday that many influential Democrats are floating Labor Secretary Thomas Perez as a possible running mate for Hillary Clinton, despite his history of scandals. Perez endorsed Clinton in December and has campaigned for her in recent weeks. Political insiders speculate that Perez would help Clinton shore up portions of the liberal base that she has lost to her socialist rival, Sen. Bernie Sanders (I., Vt.), in nearly half of the primaries. Perez would also bring diversity to the ticket, since both Clinton and Sanders are elderly white people. However, Perez’s nomination and tenure as labor secretary have been rife with controversy. Several GOP sources told the Washington Free Beacon that they would welcome Perez’s entry to the race given his checkered history, which they say would hamper Clinton on the campaign trail. 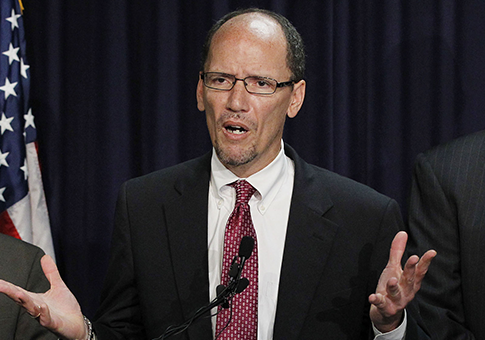 Here are five scandals that could come back to haunt the Democrats if they select Perez as vice president. 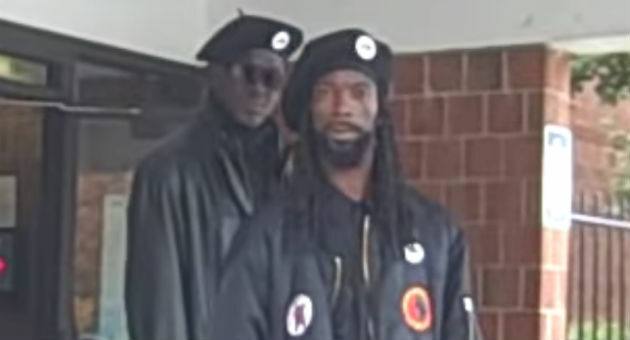 In 2008, two men from the New Black Panther Party, one brandishing a nightstick, stood in front of a polling place in Philadelphia and became aggressive when a video tracker asked them what they were doing. The Department of Justice had a straightforward case against the two, according to former attorney J. Christian Adams, until Perez, then head of the agency’s Civil Rights Division, intervened. Adams resigned in protest after the charges were dropped. He called Perez the "most extreme cabinet nominee" he had ever seen. The Department of Justice whistleblower who resigned over the New Black Panther Party voter intimidation case said President Barack Obama’s labor secretary nominee Thomas Perez is the "most extreme cabinet nominee in 70 years." J. Christian Adams, who worked for Perez at the Department of Justice’s Civil Rights Division, sent a stern warning to the U.S. Senate about Perez’s policies. "Different business groups who don’t think the nominee matters should pay close attention to Perez’s record," Adams said in an interview with the Washington Free Beacon. "People like Perez are very skillful at creatively ignoring the law to suit their own ends." An investigation into the Civil Rights Division by the Department of Justice’s inspector general revealed extreme views held by Perez. He told investigators that white people were not entitled to protection under the Voting Rights Act. CRT AAG Perez stated that interpreting Section 5’s retrogressive-effects standard to not cover White citizens was consistent with the Division’s longstanding practice, as well as case law interpreting the provision and the intent behind its enactment… Perez noted that the Division has always understood the term ‘minority’ to mean not numerical minority but rather ‘an identifiable and specially disadvantaged group. According to Perez, applying Section 5’s retrogressive-effect protections to White citizens would create ‘dramatic complications’ … noting that ‘many voting changes … will almost always have some racial effect in some direction,’ and if the retrogressive-effect standard protects everyone, then virtually no proposed voting changes would ever be approved. The House Oversight Committee found that Perez engaged in a quid pro quo that cost taxpayers $200 million in order to prevent a discrimination case from reaching the Supreme Court. Perez pressured underlings to cover up the deal by omitting any mention of the reasons behind the decision. "Mr. Perez inappropriately used a whistleblower as a bargaining chip," said Rep. Darrell Issa (R., Calif.), the committee chairman. Issa said the deal was "arranged to ensure an ideological pet policy of the Obama Administration would avoid Supreme Court scrutiny." The committee discovered communications from Perez telling local officials that withdrawing the case was a "top priority" and was looking for "leverage" to pressure the city to do so. Perez would be a fitting running mate for Clinton given his use of private email to dodge accountability laws and his refusal to surrender potentially damaging material to the public. Perez has insisted that the Labor Department is not legislating from the executive branch or coordinating with other labor regulators to push workplace rules that crack down on franchising. However, Perez came under fire when congressional investigators discovered coordination after uncovering files from the National Labor Relations Board (NLRB)—records that did not turn up in Perez’s submission to the committee. The House Education and Workforce Committee sent a letter to Perez on Tuesday after documents obtained through a Freedom of Information Act request revealed that top regulators within the department had hinted at creating new rules for franchisees. Those documents seem to dispute the Labor Department’s insistence in November that no new rules were on the table, according to the committee. "The Department’s unwillingness over a period of months to fully cooperate with the Committee’s request—calls into question the Department’s respect for Congress’s constitutional oversight authority," the letter says. This entry was posted in Politics and tagged Department of Justice, Department of Labor, Hillary Clinton, Tom Perez. Bookmark the permalink.